Primary School Musical! The wonderful story of how a bunch of kids conquer their differences and save their school! 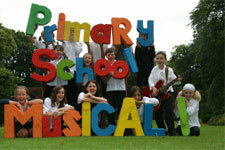 A new musical for all primary schools everywhere.